First Public Edition: 300 Numbered & Signed Copies Only. 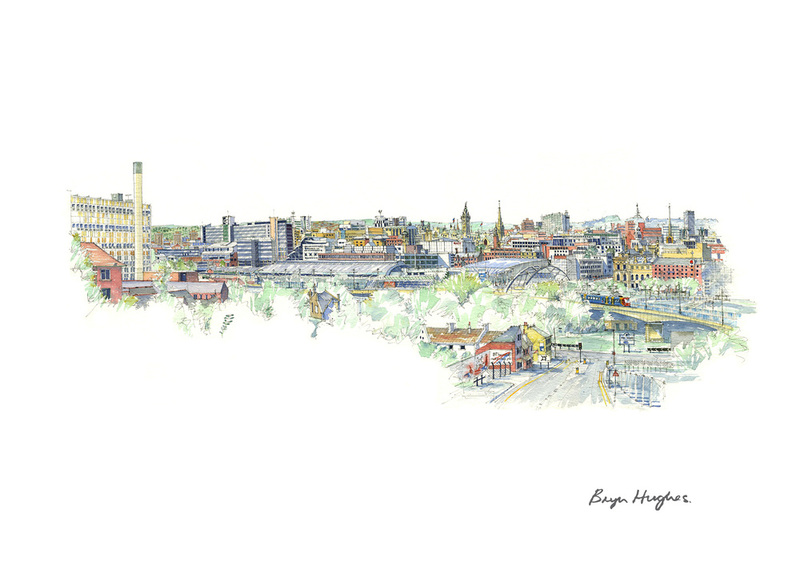 Bryn Hughes is a multi-award winning Sheffield based artist. Bryn's drawings, watercolour and acrylic paintings and prints are now instantly recognisable, but his distinctive style of art has been developed over many years. Artist's Experience: Bryn is often asked, how long does a sketch take? "three or four hours" he normally jovially responds "plus, around fifty years of practice and experience". 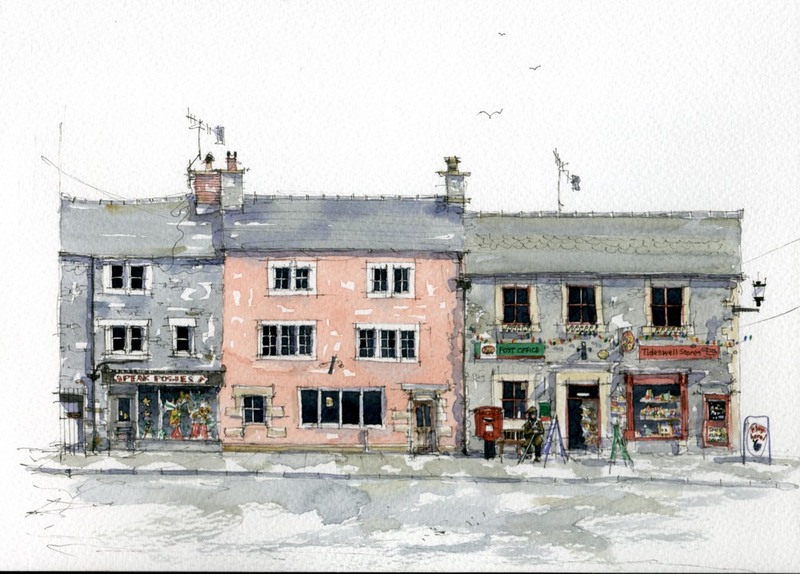 Success: Some of Bryn's most popular work, is his city and town-scape watercolour paintings, a passion for street life and architecture is evident in his work. 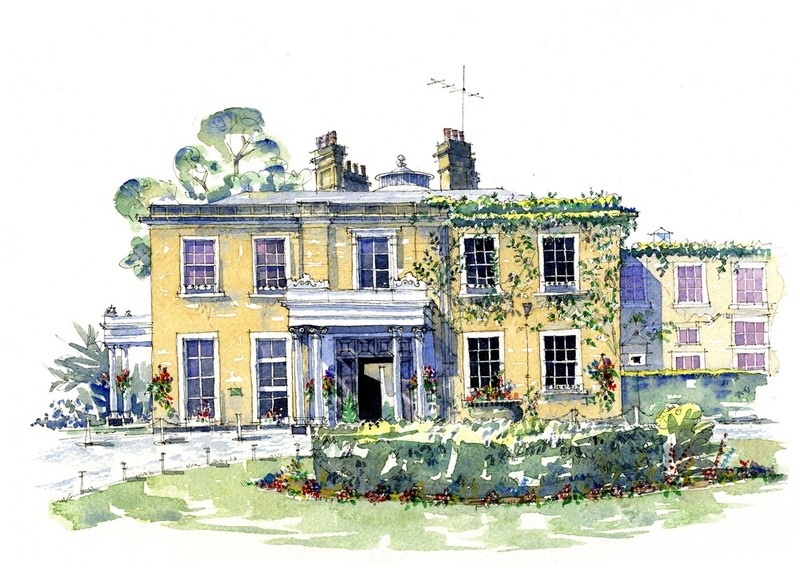 His deep understanding and love of buildings is clear in his draughtsmanship; this is understandable, when you learn that Bryn had a long and successful career as an architect before devoting himself to his artwork. 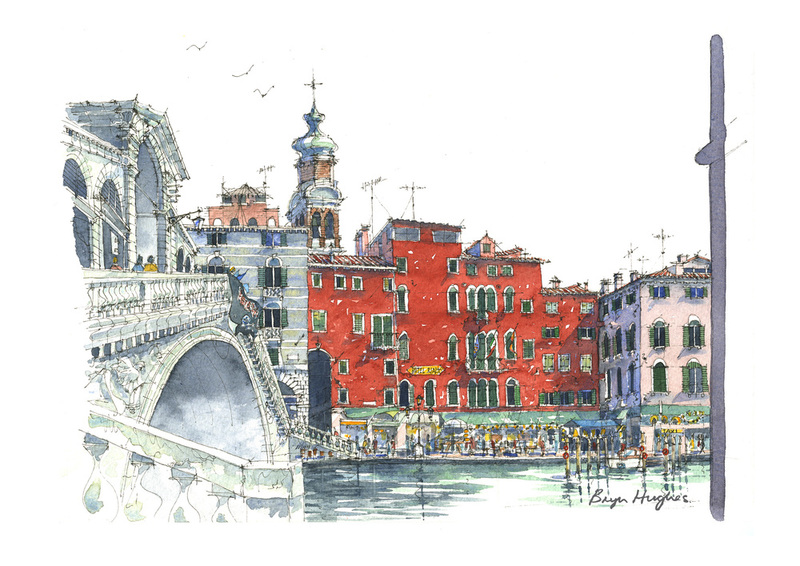 Bryn's city and architectural watercolour paintings uniquely capture the essence of a place, like the vibrancy of a Venice canal, the warmth and charm of a Spanish village or the regal stature of a London street. Bryn's original watercolour and acrylic paintings, and high quality art prints make wonderful gifts: he has developed a range of styles that are widely appealing and now quite collectable. 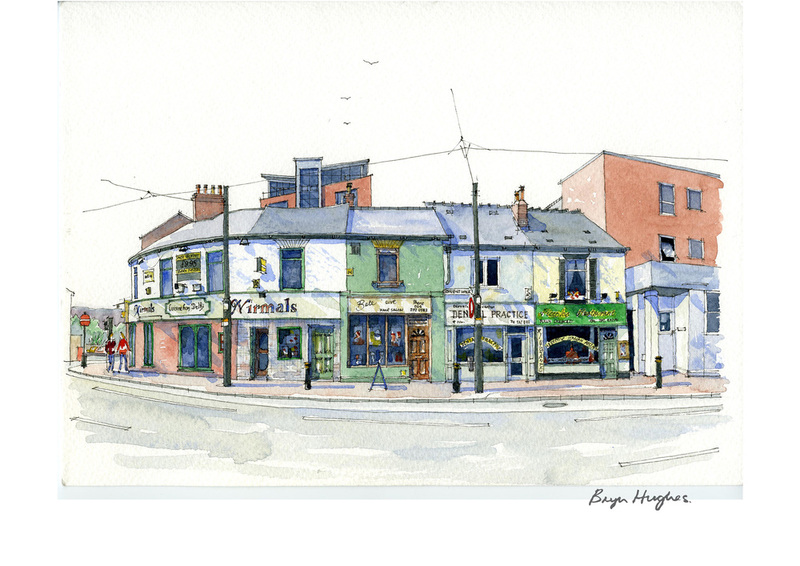 You will find a collection of watercolour prints available to buy online from our shop here. Bryn's paintings and art prints are often bought because of the fond memories they evoke: on seeing his work, time and again, people happily recount their past adventures with Bryn. Start your own collection: Bryn's architectural paintings and art prints have a consistent style which makes it easy for you to curate your own collection. 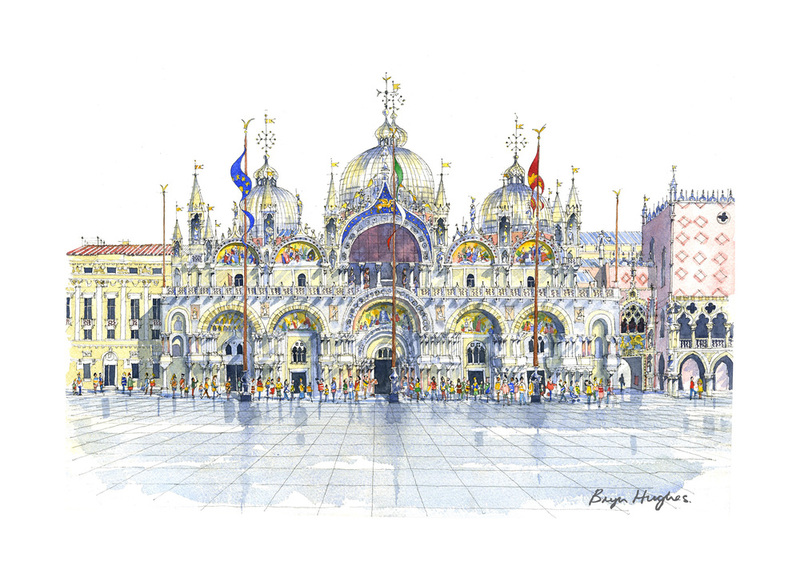 For example watercolour paintings from Venice, Tuscany or Spain can be comfortably hung together with work from the Yorkshire Coast, London or even the streets of Sheffield. 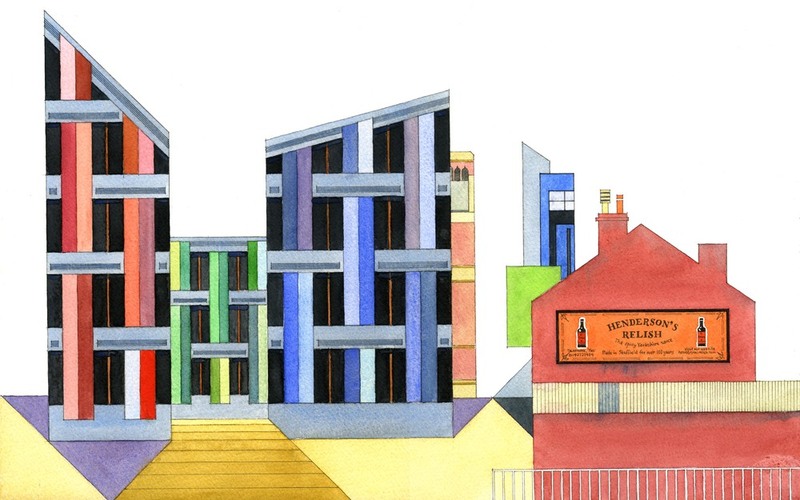 Examples of Bryn's Architectural, City and Townscape work (art prints available). Life for Bryn started in the small mining village of Tonmawr at the top of the Pelenna Valley in South Wales. Before his fourth year, his family moved a few miles away to Neath. His artistic talents were recognised early, winning many competitions for his artwork throughout his primary and grammar school years in Neath. In the early 60’s Bryn left Neath in his beloved Wales to study Architecture at the University of Sheffield. Success followed him, winning academic prizes for design and draughtsmanship, as well as sporting trophies for achievements on the rugby field. After obtaining his degree, Sheffield became Bryn’s home representing the City at rugby for 10 years, qualifying as an architect in that time, marrying and starting a family. Today, over 50 years after first arriving in Sheffield and now retired, Bryn dedicates himself full-time to his art; working with vigour, from his cottage workroom, on the edge of the Peak District National Park. Bryn is now painting and travelling more than ever. As in his early years, Bryn’s work is still being acclaimed, having been awarded several medals and prizes at recent exhibitions and art shows. Bryn's daughter Sian is also a successful artist in her own right. Bryn is a prolific artist. He loves nothing more than finding a vantage point, sitting down and painting an impression of the scene right in front of him. When time or the location doesn't allow, Bryn will create a few quick sketches and take some photos. Then, back at home he will use them as reference and paint a new original piece. 2015 marked the first year that Bryn's work has been available to buy directly by credit card through his own website. To start, he selected his ten favourite Sheffield scenes. These are now available as signed A4 and A3 inkjet art prints. Harking back to the time of 'The Grand Tour', Bryn has been increasingly visiting the 'Continent'. Armed with his sketchbook, favourite pens and watercolour paints, he has been documenting his adventures. The Travelling Artist collection currently includes artwork from France, Italy (Venice, Tuscany and Rome), Spain, Mallorca, Madeira, the United States and nearer locations like London, Whitby, Robin Hood's Bay, St Ives, Weymouth, Portland, Tenby and Edinburgh. A4 and A3 art prints and some original paintings are available to buy direct from the shop section of this website. Whilst Bryn has a very recognisable and collectable 'pen and watercolour' style, he isn't constrained by this one approach to making art. He still enjoys experimenting with lots of different approaches and media. Some of his most distinctive work is his recent acrylics, mixed media, iPad/tablet and digital art. Some of an artists' most interesting work can be found in their sketchbooks. Bryn regularly shares his ideas and preliminary work via his art blog. Using his Art Blog, he also highlights the work of other artists, events and exhibitions.